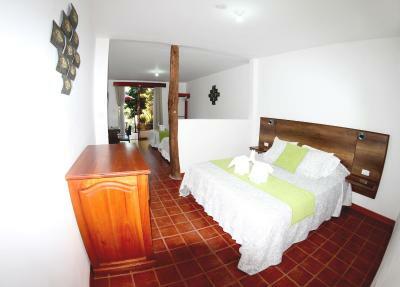 Lock in a great price for Lava House Hostal – rated 8.9 by recent guests! Good location, good breakfast with granola, plain yoghurt, and some fruit. Owner is very kind and sweet, though she does not speak much English. But there are usually others around who can translate. Or you can use google translate. Relaxing environment and good vibe. Good air conditioning. Laundry facility is close by if you want to take in your laundry. I brought it in about 5pm and it was ready the next day at 5pm. Lava House is an excellent place to stay on Santa Cruz. It is in a great quiet location not far from town. Isabella and her family (and Cesar) are very friendly and helpful. We had a group of 22 and she was able to accommodate us. To use a credit card, there is an additional 10% fee to be paid in cash. See below for breakfast information it was awesome!!!! The very nice garden was so pleasant. Fresh fruits we could try from the tree. We had access to fridge and drinking water anytime. The breakfast was fresh made real fruit drinks, yogur, granola, fresh fruit, eggs, ham, delicious breads and croissants. The staff is friendly and helpful. The location is about 5-6 blocks up from the pier. Taxi is about $1 (total) to get around town. But we walked to the peir and other eating places several times. We were feeding a family of six there and so a fridge and freezer to stash some food in was helpful. Packing our own jerky, etc was a lifesaver in general as food on Galapagos is EXPENSIVE. 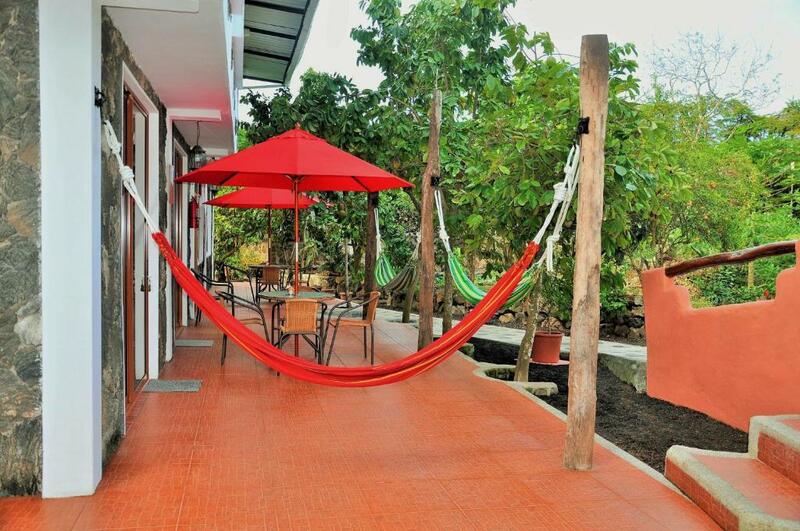 Lava House Hostel is like a calm oasis in the bustling city of Puerto Ayora. The family that owns and runs it are amazingly friendly and helpful. Son-in-law Richard even took me to the Galapagos Agressor III dive boat to drop off my duffel bag and arranged for them to pick me up early. He was a master diver on the ship for 27 years and occasionally still leads dives for them. I loved being with the Arturo family. The owner/staff were very friendly and hospitable. They made you feel at home like it was your house. Facilities are clean and the owner does a very good job making sure guests are comfortable and happy. We spent almost a week at the property and we all felt like at home. Great breakfast cooked upon request within reasonable hours. Great accommodating staff, willing to help and guide, making arrangements and suggestions. Awesome property and space to enjoy the time at. Safe and reasonably priced. 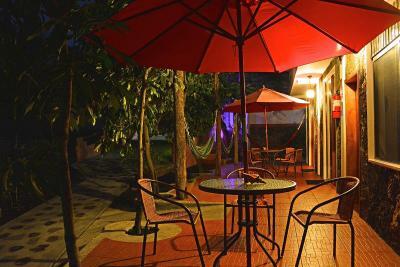 Located 1,650 feet from Pelican Bay and the Main Square, Lava House Hostel offers WiFi access and a daily breakfast included in the rate. A fully equipped common kitchen and a garden are featured on site. 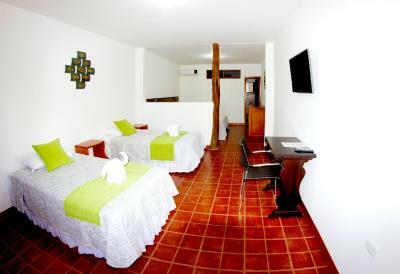 The property is a 10 minute walkfrom Malecon in Puerto Ayora. 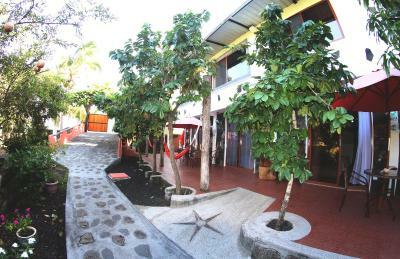 Providing a tranquil environment, the air-conditioned rooms in Lava House Hostel feature a cable TV and a private bathroom with a shower and hot water. Lava House offers tourist information about the island and it's surroundings. 뀐 Located in the top-rated area in Puerto Ayora, this property has an excellent location score of 8.6! 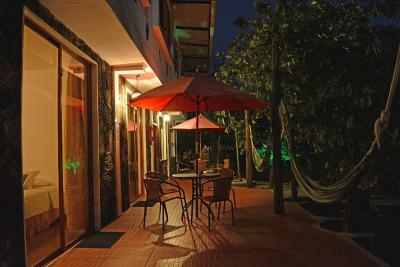 When would you like to stay at Lava House Hostal? Features cable TV and a private bathroom with a shower. This room features cable TV and a private bathroom with a shower. Air conditioning is available. 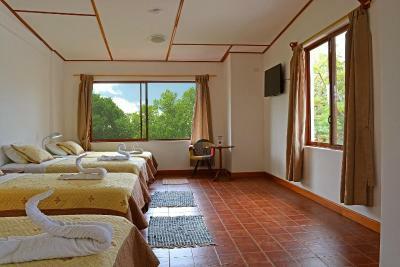 This twin room has air conditioning, tile/marble floor and garden view. 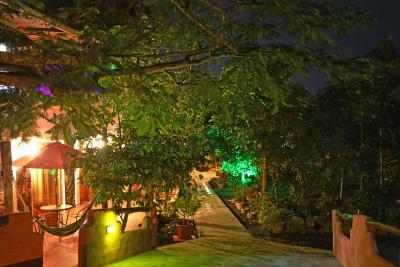 House Rules Lava House Hostal takes special requests – add in the next step! Lava House Hostal accepts these cards and reserves the right to temporarily hold an amount prior to arrival. Please inform Lava House Hostal of your expected arrival time in advance. You can use the Special Requests box when booking, or contact the property directly using the contact details in your confirmation. On the first night the air conditioner was a little loud, but she switched me to another room, which was nice. My room could use a tray to put soap and shampoo, but not a big deal. Not much counter space in bathroom. The kitchen was very warm to cook in and the hob didn’t have enough gas... cooking was difficult! There wasn’t really anything I didn’t like. Maybe the sliding door sticking a little but I loved the window/door facing the garden. Everything about the Lava House was just perfect. It was really like a little paradise! Super beautiful garden, comfy rooms with terrace, lovely people and yummy breakfast! An amazing stay with an unbelievably friendly, warm and helpful family around Isabel, the owner. You have everything you need here. The breakfast is huge and the atmosphere is beautiful. From here you can also walk everywhere very easy. Definitely coming back here! The people were very helpful! I like everything about this hotel! Location,staff, food were excellent! Located on the quiet street, but still very close to the center. Old lava house built with lava stones and wood. Nice garden with fruits that are available for guests! Staff is very helpful with information and your needs. This hotel is family operated. When we first arrived on the island, there was construction at Lava House. We contacted them to notify them that we were concerned about the construction noise, and that if there was going to be construction during the dates of our stay, we would need to cancel at no cost, because one of the reasons we booked was because Lava House has a quiet garden for relaxing during the day. Lava House replied assuring us that the construction would be completed by the day after we arrived. The construction was actually not completed by the time we left - which was 1 week from the date they said it would be completed. There was quite a bit of construction noise and dust, so we were not able to relax in our rooms or in the garden in the way that we had planned. As well, the wifi often did not work - or disappeared entirely. We ended up using restaurant wifi instead, to check travel bookings and make reservations. Isabel and her family were lovely, the location was good, and the property (rooms, dining area and garden) was very nice. It was also a pleasant surprise that we had such spacious rooms - we had 3 beds for just two people!